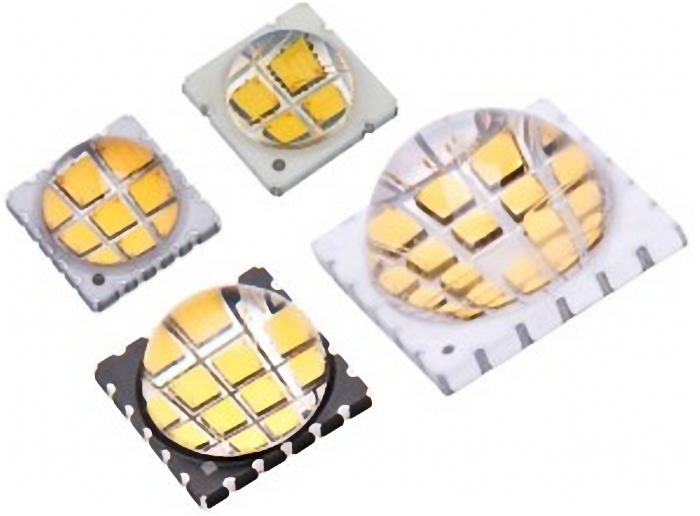 LED Engin is declaring its high quality light with a CRI of 97 from its "gallery white" LED chips. CRI is not a perfect measure of colour temperature. It is officially measured using eight pastel shades (called R1-R8) and it is known for lighting LEDs and fluorescent lamps to have their spectrum tuned to provide a high CRI number at the expense of visual fidelity with certain common colours. Not so with LED Engin’s latest range. "Accurate colour temperature is a critical factor in achieving the desired ambience in high-performance applications. While the CRI measures the light source against eight pastel pigment colours, it does not consider saturated solids [R9-R12] or skin tones [R13 and R15]," said LED Engin. "Not only does Gallery White achieve a CRI of 97, the emitter also gives R1 to R15 values between 96 and 99 and R12 typically of 86." Applications are expected in demanding shops, galleries, and showrooms. Colour temperature is 3,000K. "Colour temperature and CRI remain stable over time, temperature and drive current," said the firm. There is an option to mention a 3 SDCM (standard deviation of colour matching) bin. Output from the range is 450-3,200 lm from 10-80W input, depending on how many die are in the package. A set of matched TIR (total internal reflection) lenses is available to create beams from nine to 50°.